Saul Timisela, 45, who has taken refuge from deportation at the Reformed Church of Highland Park, walks through one of the hallways of the church in March. Timisela is an Indonesian Christian who fears religious persecution if deported back to Indonesia, one of the world's largest Islamic countries. HIGHLAND PARK — Indonesian immigrants being given sanctuary by a New Jersey church after being ordered deported are telling stories of the religious persecution that drove them out of their country. They are speaking at an event today during a visit by Rep. Carolyn Maloney, who has sponsored a bill to try and reopen their cases. The New York Democrat is visiting The Reformed Church of Highland Park to urge passage of legislation that would give Indonesian Christians living and working in the U.S. under a special agreement the chance to reopen their asylum bids. Maloney says the U.S. should uphold its tradition of supporting those fleeing religious persecution.A spokesman for Immigration and Customs Enforcement says the three men being given sanctuary in the church have final orders of deportation. 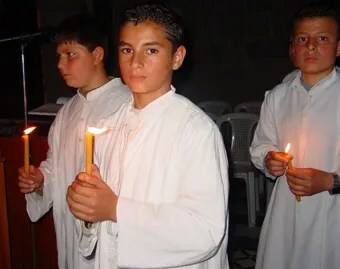 Damascus, Syria, (CNA).- Almost all Christians in the conflict-torn Syrian city of Homs have fled violence and persecution, amid reports that their homes have been attacked and seized by “fanatics” with links to al-Qaida. With ninety percent of Christians having reportedly left their homes, the violence is driving fears that Syria could become a “second Iraq” with church attacks, kidnappings and forced expulsions of believers. The exodus of 50,000 or more Christians has taken place largely in the past six weeks. It is part of al-Qaida-linked militant Islamic groups’ “ongoing ethnic cleansing” of Christians, according to Catholic charity Aid to the Church in Need. Homs has been home to one of Syria’s largest Christian populations and Church sources say that the faithful have borne the brunt of the violence. They have escaped to villages, many of which are in mountains 30 miles outside the city. Islamists have allegedly gone from house to house in the Homs neighborhoods of Hamidiya and Bustan al-Diwan and have forced Christians to leave without giving them a chance to take their belongings. The comparisons with Iraq are also ominous. Anti-Christian violence in Iraq has helped drive the Christian population from 1.4 million in the late 1980s to less than 300,000 today. In both Syria and Iraq the Church is being targeted for its perceived close links with regimes under attack from opposition parties and rebel groups. The uprising in Syria started in March 2011 with protests advocating political reform. The uprising has become increasingly militarized. More than 8,000 people have been killed in the conflict in the past year, U.N. figures say. Many in the opposition are from the country’s Sunni majority, while religious minorities continue to back President Bashar al-Assad. 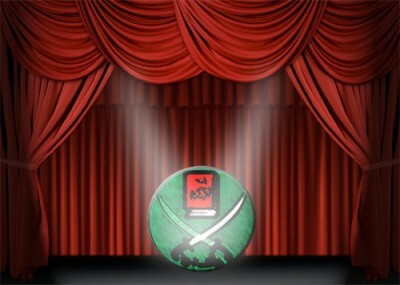 The exiled Syrian Muslim Brotherhood has said it will not monopolize power in a new regime but will back a democratic state with equality for all citizens and respect for human rights. On March 26, Syrian government forces shelled Homs and carried out arrest raids. A human rights group says that government forces appear to be preparing to retake rebel-held parts of the city, the Associated Press reported. The government has accused insurgents of terrorism and international conspiracy, while the government itself faces accusations of torture and massacres of civilians. The Christian community has suffered from terrorist attacks in other cities. On March 18, a car bomb explosion targeted the Christian quarter of Aleppo, close to the Franciscan-run Church of St. Bonaventure. Aid to the Church in Need is helping families of the victims. The displaced people of Homs are desperate for food and shelter. Aid to the Church in Need has announced an urgent $100,000 aid package to relieve their needs. Each family will receive $60 each month for basic food and lodging. Organizers of the assistance hope that they can return home by the summer. Bishop Audo told Aid to the Church in Need that it is very important to help those in distress. “Pray for us and let us work together to build peace in Syria,” he said. The Muslim’s in Islamic controlled countries burn the cross in effigy, yet not one Muslim in the Islamic World will condemn it, or DEMAND an apology. Where are the mainstream media, politicians, the Liberal Progressive Lefts and the Imam’s of the world condemning this despicable act? But since it is a symbol of Christianity they all bury their scrawny necks in the sand. ABUA,Nigeria (Catholic Online) – On Wednesday, March 7, 2012, six armed men killed a customs official, a five year old boy and at least two others. They did so intentionally and in cold blood. They did so in the name of Allah. They set fire to a police station, a government building and two churches, one Catholic and one belonging to the Christian Brethren. They blew up vehicles, motorcycles and terrorized a town for three hours – all, once again, in the name of Allah. This Islamist group has been terrorizing northern Nigeria for two years. They claimed responsibility for their evil and horrific behavior without any remorse or regret. On Thursday, March 8, 2012, they also killed a British and an Italian hostage. None of the reports indicated how the murders occurred but, the track record of similar Jihadis points to beheadings. We have only to remember Danny Pearl. In fact, we MUST remember Danny Pearl! The President of Nigeria, Goodluck Jonathan, properly condemned the murders. The two victims were innocent engineers who had been taken by these evil Islamists in May of 2011. Efforts to negotiate for their release were unsuccessful. So too were efforts to rescue them. Their families are in mourning and we should pray for them. We reported on the horrible bombing outside of St Theresa’s Catholic Church on Christmas Day. That evil act, perpetrated by these Islamic terrorists who proudly refer to themselves as the “Nigerian Taliban,” was followed by an ultimatum issued to Christians in Northern Nigeria to leave in three days or face further violence. That was nonsense. There have been no attacks on Muslims in Nigeria. In fact, some Muslims who properly reject the violence of this evil group have been victim of their terror. The phrase “Boko Haram” means “Western education is forbidden” in the Hausa language. These Islamist terrorists hate all things “western” and Christian. They are Jihadiss who have expressed their intention to forcibly establish an Islamic Caliphate and impose Shariah Law on everyone. They are also called al-Sunnah wal Jamma – or “Followers of the Prophet’s Teachings”. They refer to themselves officially as Jama’atu Ahlis Sunna Lidda’awati wal-Jihad, which means “people committed to the propagation of the prophet’s teachings and Jihad”. They are murderers and terrorists who use an appeal to religion to attempt to justify evil. The terrorist group issued a three-day ultimatum for Christians to leave the North of Nigeria and has called for all Muslims living in the South to move North. They have signaled their intention to fight government troops and to expand their violent attacks against Christians and others who resist their Jihad. “We continue to ask Christians to be vigilant and aware of the issue of safety when they go to church and even in their own homes. We have appealed that there be no retaliation and we continue to preach peace, hoping that all of us in Nigeria, Muslims and Christians, we will be able to work and live happily together. This is our position: no violence, no retaliation. We want to live in peace”. Sadly, these evil Jihadists have no such desire. Archbishop Kaigama added, “We continue to appeal to reason, for dialogue. It is possible for Muslims and Christians to reason together. We know that there are other forces behind the so-called Boko Haram. We do not even know who the Boko Haram really are, what they want, where they get their arms from. What is certain is that there are some forces behind them, either in Nigeria or abroad, who want to profit from instability in our country, but we will not give in to terrorism, we will not allow these fundamentalists to ruin our country”. The Pope reminded the faithful that St Stephen gave his life for his Christian faith. He spoke of his heroic witness, noting that even as he was being stoned to death he prayed, “Lord Jesus, receive my spirit” and begged forgiveness for his accusers. He extolled the witness of the early martyrs of the Church, a topic which he has frequently addressed in the last few years. What is happening to our brethren in Nigeria – Christian martyrdom at the hands of militant Jihadist Islamists – must not be overlooked. The threat of such violent, evil, Jihadism is not decreasing. If anything, it is increasing. For someone who remembers the cold war, even to the point of drills where we hid under our desks, it calls to mind the great need for a National resolve. It makes the threat of militant Marxism look mild in comparison. The victims of this evil are often being killed precisely because they are Christians. The blood of the martyrs seems to be flowing more frequently these days as militant Islamic terrorism increases and establishes a new beachhead in Africa. For Catholics and other Christians, we cannot – we must not- fail to act. Africa is one of the great centers of the renewal of the Church in the Third Millennium. We are living in a new missionary age. Phalange party leader Amin Gemayel said Lebanon’s Christians have concerns over their existence in the region following a sharp drop in their numbers in Iraq and Syria and attacks on Copts in Egypt. In an interview published in An Nahar daily on Sunday, Gemayel said that Maronite Patriarch Beshara al-Rahi’s concerns over the Christians in the East are not new. “We are very much aware of the drop in the number of Christians in Iraq, as well as Syria and the attacks that took place in Egypt on places of worship before and during the revolution” that toppled President Hosni Mubarak, Gemayel said. Hadn’t there been also a concern in Lebanon, former Prime Minister Saad Hariri and his slain father ex-Premier Rafik Hariri before him wouldn’t have stressed the division of power between Muslims and Christians, he told An Nahar. The former president stressed that only dialogue would appease the fears of the Christians in the country. Gemayel expressed optimism that the March 14 opposition and Hizbullah would one day reach an understanding on a joint vision to Lebanon’s future which cannot be built unless both sides respect each other and get convinced that only state institutions guarantee stability and protect everyone. “This can be achieved only through a strong and democratic state,” he stressed. An apostate in Pakistan, or in any Pakistani Muslim community in the world is a dead man. Anyone who sounds like this in Pakistan, or in any Pakistani Muslim community in the world is a dead man. Sweden is the country that once awarded Yasir Arafat a Noble Peace Prize, but Sweden has also been at the forefront of human rights activism and legislation. Now, in sending an apostate back to Pakistan, Sweden is failing its own stated ideals. We all used to think of Sweden as a very “progressive” country. Now, alas, the word “progressive” has come to mean other, certain things. In May, 2011 Sweden hosted and funded the notorious “Palestinian” terrorist, Leila Khaled. As a member of the Popular Front for the Liberation of Palestine, she hijacked an airplane in 1969. In September, Sweden held the first official welcoming ceremony for a “Palestinian” representative. The government expressed support for efforts towards Palestine’s statehood. Let’s not forget that Sweden is also the country that once awarded Yasir Arafat a Noble Peace Prize. In the last two decades, in the name of “multicultural relativism” and “politically correct diversity”, Sweden has allowed Muslim anti-infidel separatism to fester; of course, Swedish Jews, in Malmo in particular, have been cursed and assaulted by hostile Muslims. Now, Sweden has once again demonstrated its failure to recognize a “good” Muslim from a “hostile” Muslim or terrorist. Rather than welcome the pro-Western Pakistani Khalid Saeed, who seeks political asylum, the Swedish Migration Board has turned down his application for political asylum. An appeal is underway. A number of European and Scandinavian Free Speech societies, asked me to write a letter on his behalf to the Swedish government. Here is a partial version of that letter. I am writing to you on behalf of Khalid Saeed’s petition to remain in Sweden, a petition which you have denied. I implore you to revisit his case. His life—and Sweden’s reputation for fairness and morality are both at stake. Khalid Saeed and his family have been living in Sweden since 2009. Saeed joined the 5% of the Swedish population who are Muslims. However, unlike Muslims who have rioted and/or who have refused to assimilate in Sweden, Khalid is a pro-Western apostate. This is precisely why he fled Pakistan. Apostasy is a capital crime in Islam, and so is any preference shown to Western ways of thought. “I have never worshipped Allah nor do I or my wife, Asia, believe in Islam as the only truth for mankind. I have distanced myself from Islam years ago. That is my curse. My wife, the mother to our children, agrees. She will not see her daughter brought up in a society where women are only half humans and neither will I. And yet, you have refused him asylum in Sweden. I strongly disagree with your ruling on his application for asylum. I assume you are familiar with the fate of apostates: Muslims who convert to Christianity or who describe themselves as “humanists” or “secularists,” or who believe in freedom of religion. Sweden’s own 2010 Report on Human Rights in Pakistan confirms that religious minorities are severely persecuted in Pakistan as are any people who are in favor of free speech, academic freedom, and independent thought. For example, the governor of the Punjab (in Pakistan) was assassinated when he wanted to pursue reforms against blasphemy laws. The International Humanist and Ethical Union, which was founded in Amsterdam, spent years campaigning for the life of physician and human rights activist Dr. Younus Sheikh who languished on Death Row in Rawalpindi, Pakistan. We know that many Muslims are not friendly toward any infidel religion, including Christians, Hindus, Jews, Buddhists, etc. Christians have been—and still are—being savagely persecuted in Muslim lands. I and many others have written about this often. Author and apostate Nonie Darwish and ex-Muslim secularist Ibn Warraq have both spoken out about this burning issue. Christians are being savagely persecuted in Egypt and all across the Middle East and Islamic world. In Pakistan, Christians have literally been crucified, teenaged Christian girls have been kidnapped, raped, then forced to marry their rapists and convert to Islam. Saudi Arabia, Iran, Afghanistan, do not allow Christians, Jews, or other “infidels” to pray openly or to build any or new houses of worship. 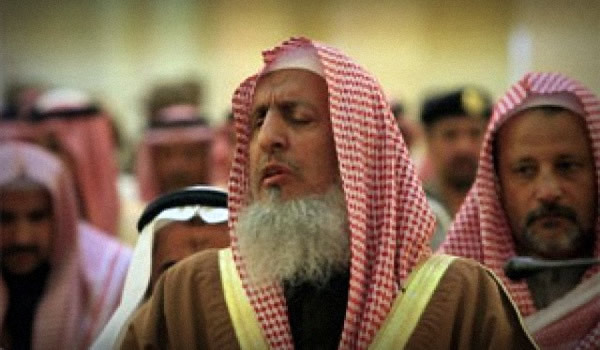 The Arab Muslim Middle East is almost completely “Judenrein,” (free of Jews) since more than 800,000 Arab Jews were exiled or forced to flee their countries between 1948-1968. In 2010, in Pakistan, a Muslim mob attacked a Christian man and slaughtered him with pick-axes for refusing to convert to Islam. The situation for Muslim apostates in Europe is also perilous. High profile apostates, such as Egyptian-Italian Magdi Christiano Allam, who was converted to Catholicism by the Pope, lives with six round-the-clock bodyguards. Aayan Hirsi Ali, the Somali-Dutch-American apostate-secularist, also requires a full time security detail. People who do not have public profiles, who are not academics, intellectuals, politicians, or public speakers, also face similar problems. In 2001, “Sabatina James” (a pseudonym) fled from Austria to Germany and went into hiding to escape being honor-murdered by her family after she converted from Islam to Christianity. Her family had immigrated from Pakistan. “Sabatina’s” troubles began when she was 15 years old. Because she dared to wear lipstick and blue jeans, she was mercilessly beaten. When she rejected marriage to a cousin, “Sabatina” was sent to a Qur’anic school in Lahore, where she was repeatedly flogged. She finally agreed to the marriage—but only in order to be able to return to Austria. Then, when she was 19 years old, she fled. In 2009, Iraqi-born Vian Bakir Fatah was stabbed to death by her Iraqi ex-husband in Norway. She had converted to Christianity and had a new boyfriend. Her ex-husband murdered her in the presence of their four children. In the past, Sweden has presumably been at the forefront of human rights activism and legislation. Now, in this case, it seems that Sweden has failed its own stated ideals. Given the information that I and others are providing, I strongly urge you to reconsider Khalid Saeed’s case. If not, his blood, and the blood of his wife and children will be on Swedish hands.